House Sitting / Pet Sitting – This is an excellent way to not only travel for free, but to be able to live like a local around the world. In exchange for taking care of someone’s home and (usually) their pets, you will be able to stay for free! Not only will you receive free accommodation, but normally a vehicle is included in the deal. Taking care of a person’s home and pets is a serious job, but is a great way to meet new people, have a furry friend and of course, live rent free. Couchsurfing – For the most part, this is a community of travellers who are at home in-between trips, and those who are currently on the road. While at home, people offer up a spare room in their house, or their couch, for free to wandering travellers. References are given on the site, there are community meet-ups and events and it’s a great way to meet locals and have your own personal tour guide while in the city. But the best part? It’s free. Camping – In some parts of the world, you can camp for free, while in others, you’ll have to pay a small fee at National Parks. Avoid the parks and pitch a tent in an empty field, lot, or beach! In westernized countries, there is a chance that you may get kicked out, but give camping a try in Asia, Africa, Central America, the Caribbean and even Russia! Always heed the advice of locals as to where is safe to camp, and if you’re a woman, definitely don’t camp alone. Next time you check into a hostel, hotel or guest house, ask if they need a little bit of help! You’d be surprised how often you can get a free nights stay just by helping out around the establishment. We’ve met people on the road who have earned their way by helping hotels with social media, reception, bartending, cleaning rooms and even web design! Working for hotels is a great way to get free accommodation, but also to help out some cool local businesses during your travels. Work Exchange – Just like getting free accommodation, this is a great way to earn free food in exchange for a few hours of work. Check with various hostels to see if they are looking for any extra help (bartending, cleaning, etc. ), have a look at restaurants to see if you can wash dishes in exchange for a meal, or, work on a farm or at any other job in exchange for food (and oftentimes) accommodation. Bakeries at Closing Time – I used to work at a bakery in Canada and at the end of every day, we’d sell the left-over food for very little, or even give it away for free. The same practice is used at bakeries around the world. All you have to do as a traveller is head to bakeries around closing time and ask if they’ll be throwing any items away. You could easily score a free meal this way. We know of some people who have lived off of very little while travelling by using this little trick. Don’t feel like you’re begging! Think of it as a way to stop bakeries from wasting food. They’re going to throw it out anyways, so you might as well eat it. Temples, Ashrams and Religious Sites – Many places of worship will offer meals to those in need, or those who are willing to help out in exchange for some food. 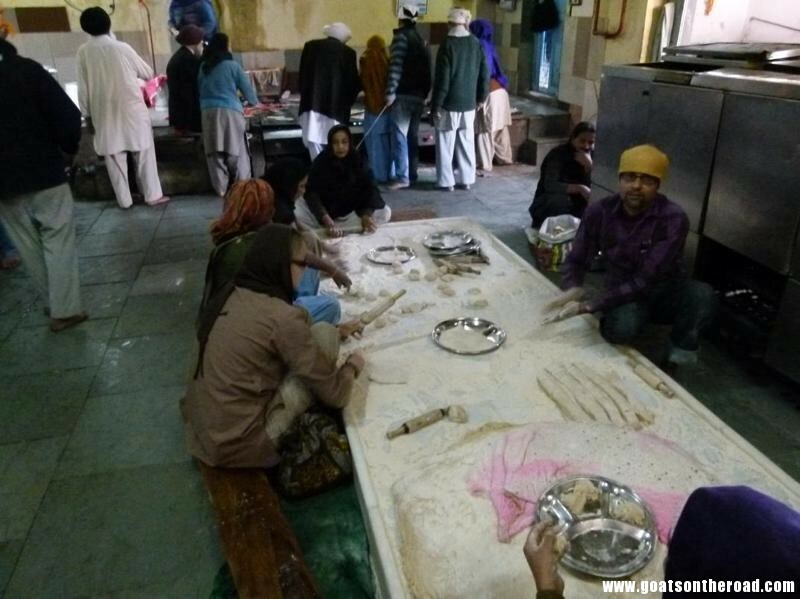 In the Sikh Temples of India for example, worshippers can enjoy a free meal of curry, rice and chapati bread. As a non-worshipper, you will not be turned away and in fact, you can even help out in the kitchen to prepare the meal, and then enjoy eating it with everyone else! Reward Points – Use your credit card to purchase everything that you need while you’re at home, and everything you’ll need for your trip. By doing so, you’ll be collecting reward points, which you can ultimately cash-in for your flight ticket abroad. Many cards offer rewards such as car rental! Click here for the top 5 best credit cards in Canada and click here for the best travel rewards cards in America. 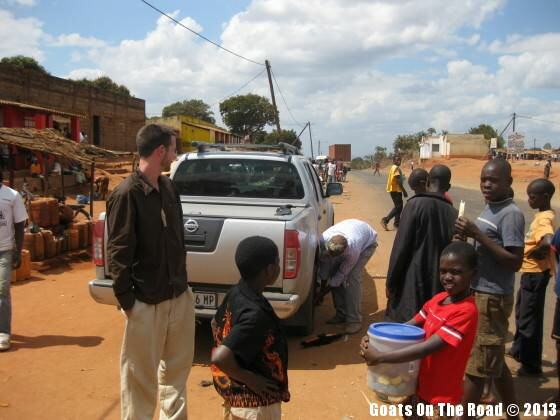 Hitch-Hiking – There are various ways to go about hitching a ride. You can either stand on the side of the road with your thumb up, or you can ask around at your hostel, at restaurants or at tourist sights. Many people will have rented a car for their travels, and sometimes, all you need to do is ask if you can catch a ride with them to the next town. Not only is this a great way to get free transport, but you’ll most likely end up meeting some pretty cool people! As a solo woman, I wouldn’t recommend getting into a car unless it’s a woman picking you up, or a family. But as a couple or a solo male, hitch-hiking can be a great way to get around. Hitch Hiking On Sail Boats – Have you ever considered becoming a skipper? In the Caribbean and parts of Asia, it’s very easy to get free rides on sail boats. All you have to do is show up at a harbour and ask if any of the sailors need a little bit of help. You can usually hitch a ride for free in exchange for some work on the boat. We’ve met some people in the Caribbean who have travelled for free to numerous islands for upwards of 7 months! All you have to do is ask. Have you ever travelled the world for free? Do you have any tips to add to this list? Share with us below! Don't subscribe All Replies to my comments Notify me of followup comments via e-mail. You can also <a href='https://www.creditwalk.ca/comment-subscriptions/?srp=4334&srk=2648578ecea05c83754707575dc5a494&sra=s&srsrc=f'>subscribe</a> without commenting.